No. 285 series has overlapping ring attached. 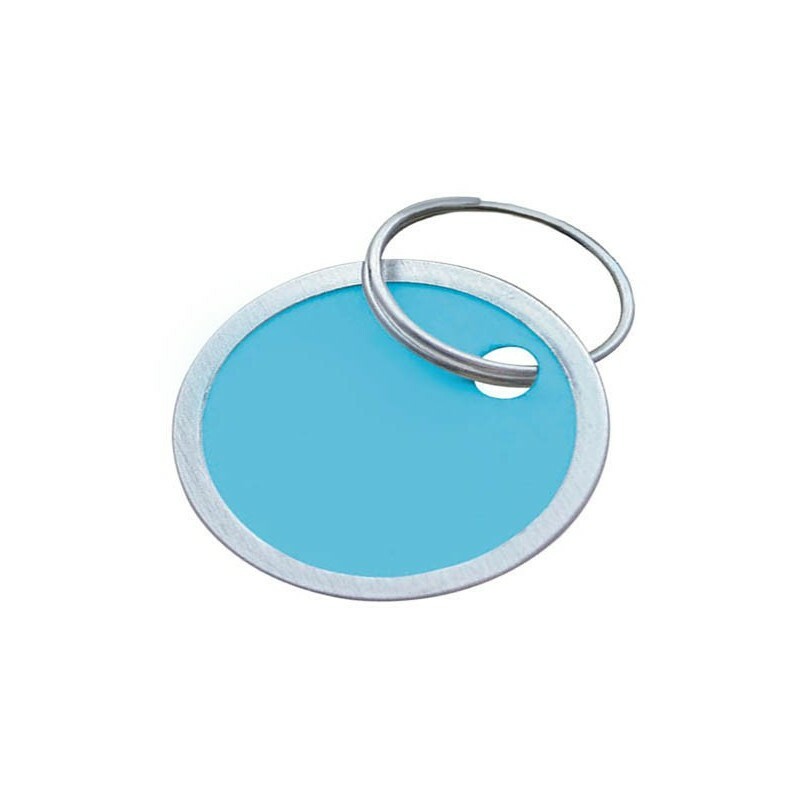 Sturdy metal-rimmed assorted colored tags in blue, red, purple, yellow, and green. Ideal as price tags or product identification.